In the first part of my "How to knit a cowl" instructions I explained how to cast on stitches using provisional cast on and what an approximate width and length of a cowl can be (though it depends mostly on your choice). 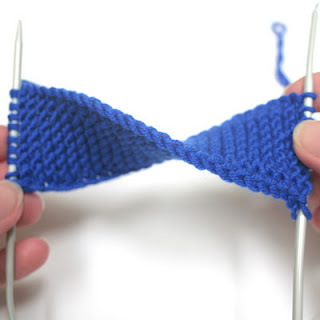 Now I'll show you how to do the last but not least step in making a cowl - grafting, also called Kitchener stitch. 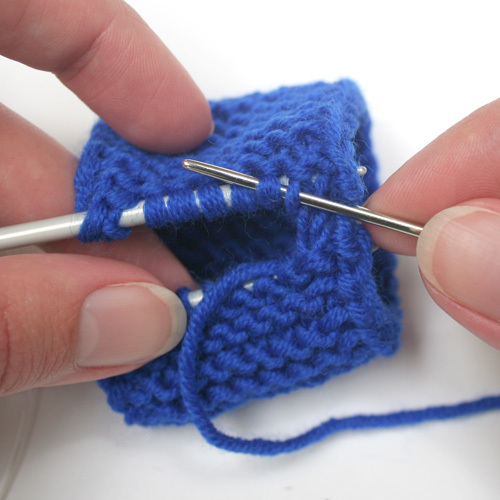 Why is it important to graft as opposed to simply sew the seam and live happily ever after? The only big advantage of grafting is that the seam is almost invisible and reversible, and that will make your cowl look tidy and seamless. 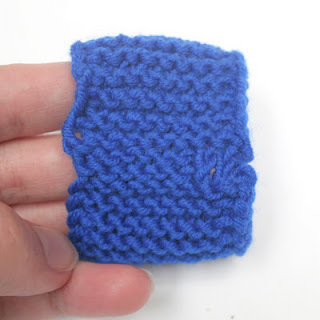 So, now you have a piece of knitted fabric which resembles a scarf with all stitches on one needle. I made a small sample to show every step of the process but your cowl is probably much bigger than the one shown in the pictures below. The first step is to insert the other needle into the stitches you cast on at the very beginning. 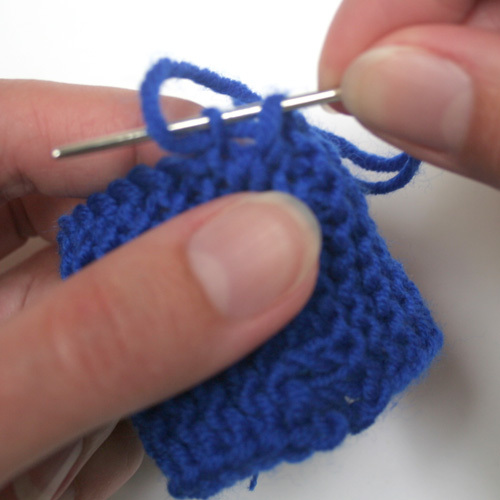 Those stitches are now gathered on a scrap piece of yarn. 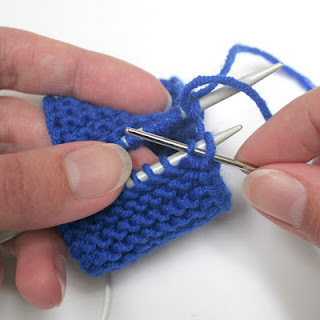 Insert the needle into each of those stitches and remove the scrap yarn. If you want to make your cowl twisted, similar to popular moebius cowls, twist the fabric, like it is shown in the picture. Whether you decided to twist or not to twist, align two needles so that the stitches at the beginning of the cowl face the stitches at the end of the cowl. 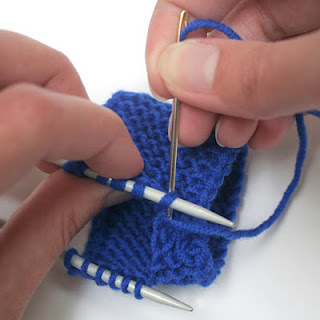 Leave a tail about 4 times longer than the width of the cowl and break the yarn. Thread the yarn tail in a wool (also called darning) needle. Now insert the wool needle into the first stitch of the stitches at the beginning of the cowl. Draw the yarn through. 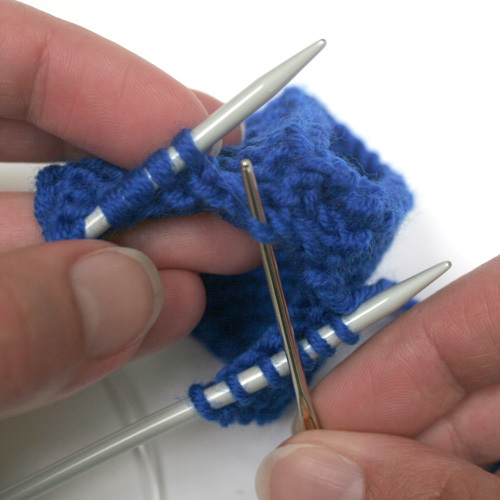 Then insert the wool needle into the first stitch of the stitches at the end of the cowl. Draw the yarn through. You secured the yarn and are now ready to graft. 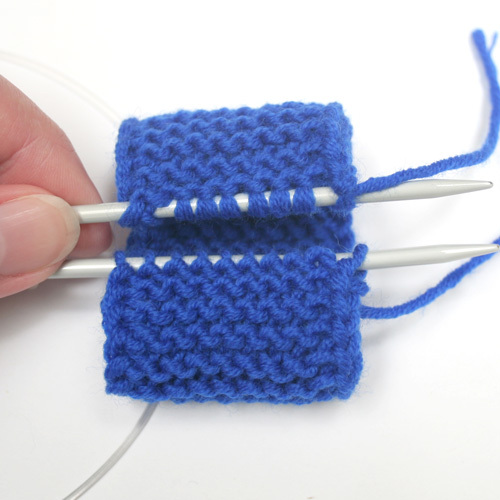 Keep in mind that (a) you should insert wool needle into each stitch twice - one time from top down and one time from bottom up and (b) insert wool needle in two adjacent stitches at a time. If you want to make a knit stitch you should insert the wool needle into a stitch from top down and into adjacent stitch from bottom up as shown in the pictures below. 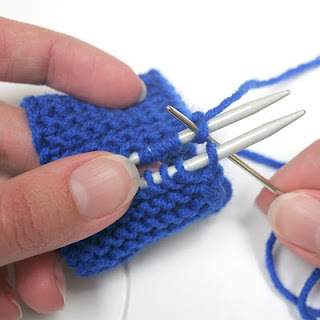 ... weave in ends and cut the excess yarn. Now only an expert can say where the seam is. 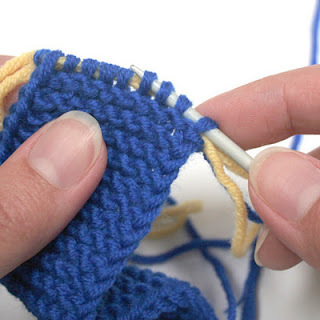 On my sample several first stitches are grafted as knit stitches and the rest stitches are grafted as purl stitches.